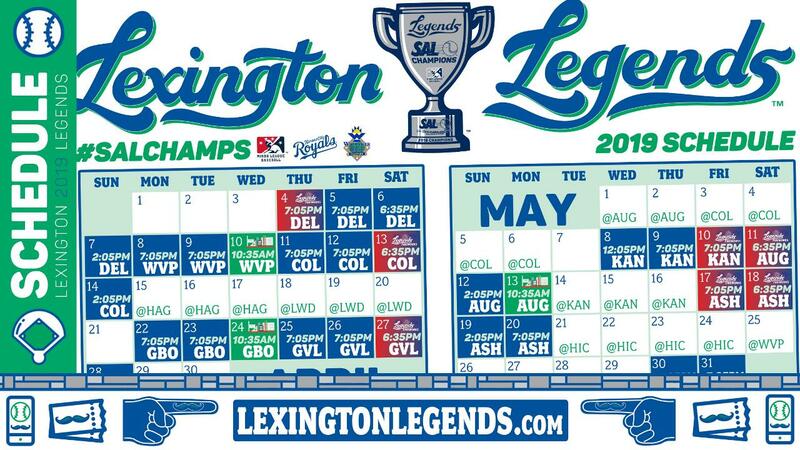 WHITAKER BANK BALLPARK (Lexington, KY) - The Lexington Legends are excited to announce today the schedule for the 2019 season. 2019 will feature opponents such as the Lakewood Blueclaws and Hickory Crawdads, teams that did not face the Legends at Whitaker Bank Ballpark. "We are thrilled about our current first place 2018 Legends and are looking forward to playoff baseball, but we are so excited to now have our hands on the 2019 schedule. The Legends will once again have a game on the Fourth of July which is always a fan favorite! Only 232 days until Opening Day 2019!" said Legends President/CEO Andy Shea. Highlighting the schedule thus far, is when the Legends host the West Virginia Power on the Fourth of July. Lexington last hosted a Fourth of July game in 2017 when the Legends defeated the Power 9-5. 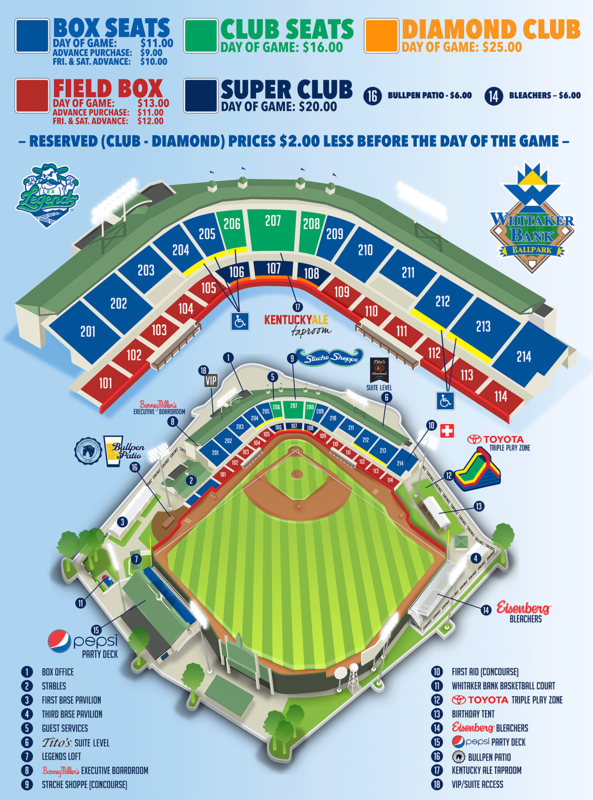 The Legends will welcome in the Hickory Crawdads August 12-14 and the Lakewood Blueclaws August 20-22, two teams that fans did not see in action at Whitaker Bank Ballpark in 2018. The Power and Greenville Drive will each play the most games (11) at Whitaker Bank Ballpark in 2019 and the Augusta GreenJackets will be in action for 10 games. Southern Division foes Augusta, Asheville Tourists, Charleston RiverDogs, Columbia Fireflies and Greenville Drive will all compete this season at Whitaker Bank Ballpark. The lone Southern Division competitor that will not be in Lexington are the Rome Braves. The entire schedule can be found HERE. Game times will be announced at a later date.